In the 31st of the Indian Premier League (IPL) 2019, Mumbai Indians (MI) will lock horns with Royal Challengers Bangalore (RCB) on April 15. The teams had have contrasting fortunes in this season so far, as the former will be looking to solidify their position in the IPL 12 Points Table, whereas the latter will be fighting to stay relevant in the league. Mumbai Indians vs Royal Challengers Bangalore Live Cricket Score. The last time the two teams met, Mumbai Indians emerged victorious as Lasith Malinga defended 17 runs in the last over. However, a controversy took place on the last ball, where Malinga overstepped and it wasn’t noticed by the on-field umpires. 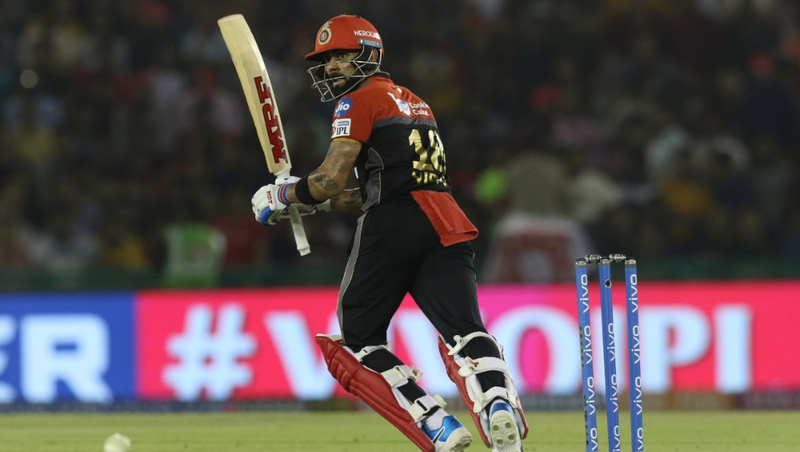 The incident had left RCB skipper Virat Kohli fuming, with how it went unnoticed. 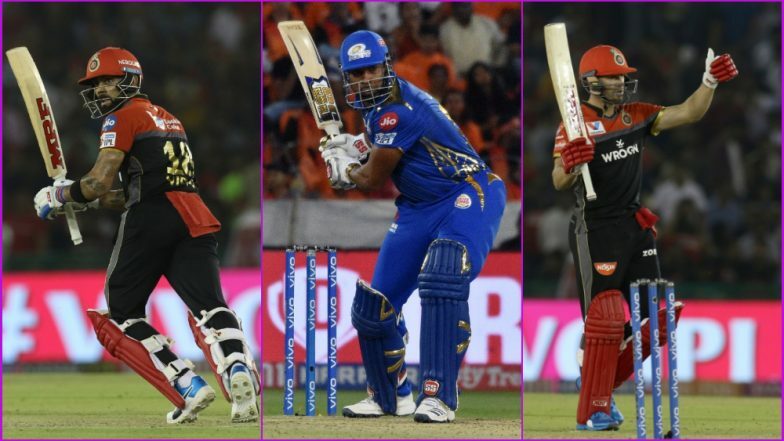 With few hours to go for the contest, we at LatestLY bring you a list of 5 key players to watch out for in MI vs RCB, 31st IPL 2019 match. 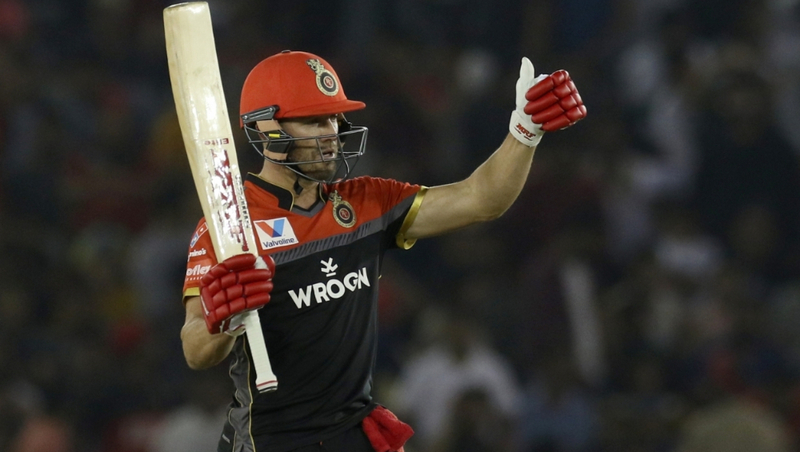 The flamboyant batsman was one of the few reasons which saw RCB emerge victorious against Kings XI Punjab (KXIP) a couple of days back. AB de Villiers will have to come all guns blazing to ensure his side can increase his chances of winning. After scoring a half-century in the previous match, RCB would need another ‘ABD Special’ at Wankhede tonight. 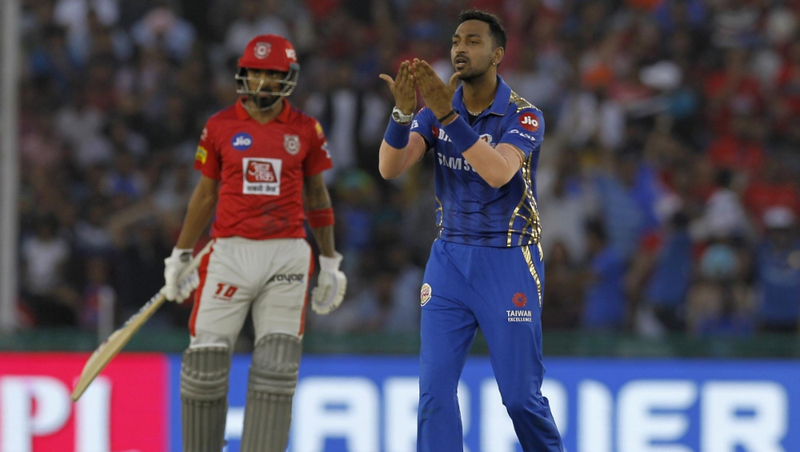 MI vs RCB, Head-to-Head Record: Ahead of IPL 2019 Clash, Here Are Match Results of Last 5 Mumbai Indians vs Royal Challengers Bangalore Encounters!. The RCB skipper was amongst runs against KXIP as well. Virat Kohli has scored 270 runs in 7 matches he has played in the season so far. For RCB to conquer MI, and to elongate their stay in the league, Kohli will have to play the anchoring role tonight. Kohli (and his team) cannot afford another loss in the tournament, as it will complicate their playoffs’ chances. No End to Funny RCB Memes Despite Virat Kohli and Co’s First Win of the IPL 2019. 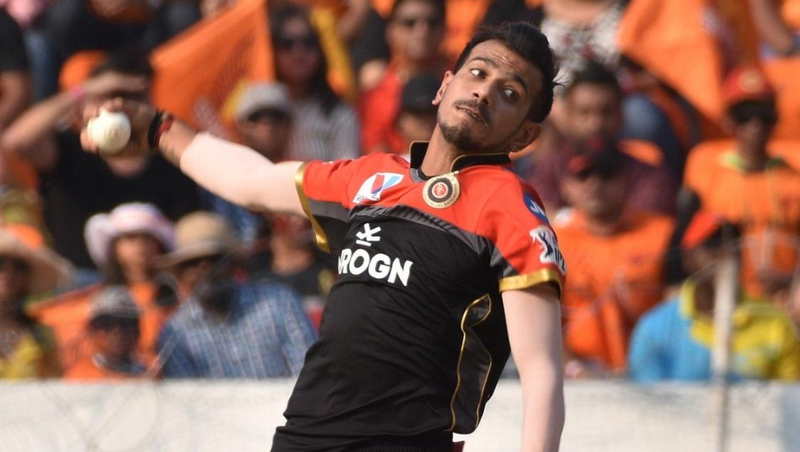 The only bowler in the RCB bowling lineup who has clicked this IPL season, is Yuzvendra Chahal. The leg-spinner has taken 11 wickets in so far in the league, at an impressive economy rate of 7.07. Chahal would be a key in taming the explosive batting lineup of MI, against whom he already has played stupendously well in the past. With Wankhede assisting a bit of spin during the span of the game, Chahal would be looking to make the most of the opportunity. Remember the name, Kieron Pollard. The tall, well-built, explosive right-handed batsman has rescued his team on uncountable occasions in the past. Not too long ago, his 31-ball 83 run innings helped MI defeat KXIP. With the form that he is in, Pollard will be looking to play another impactful innings for his side, as the batsman also has a special liking for conditions at the home turf. The left-arm all-rounder has become an integral part of Mumbai Indians team in the last couple of years. 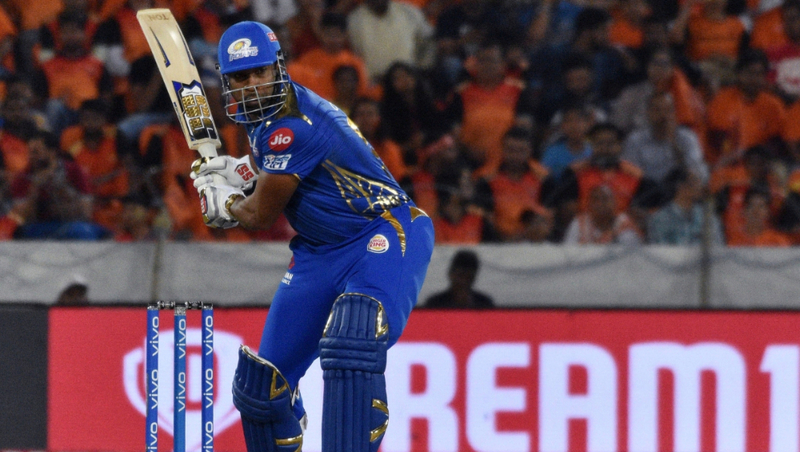 Krunal Pandya’s excellent record against AB de Villiers is what MI skipper Rohit Sharma would be looking to capitalise on, during the match. Pandya also has the ability to clear the ropes at his will, something which he will be itching to exploit, against a relatively week RCB bowling attack. Enough of Funny RCB Memes! An Open Letter to Virat Kohli Haters From Royal Challengers Bangalore Fan. The hosts, Mumbai Indians, are on the 4th spot of the IPL 2019 Points table, after 4 wins and 3 losses in the 7 matches they have played. On the other hand, Royal Challengers Bangalore have only a single match in 7 matches they have played, and hence are languishing at the bottom of the table. Both RCB and MI have had an intense rivalry over the years. It will be exciting for the fans to see which team has the last laugh as the night ends. Stay tuned to LatestLY for all the latest updates about Indian Premier League (IPL) 12.